cthyma (soremouth), cutaneous fungal lesions, scrapie or any other contagious disease. Lambs must be healthy at receiving and remain so throughout the show. Lambs must have health papers but no official blood test is required. Ewe Lamb must have a scrappie tag. While every reasonable precaution will be taken for safeguarding livestock it should be understood that livestock are entered in competition for prizes and that the owner assumes all responsibility for any accident, loss or damage that may occur. Neither the fair Manage ment, its officers nor agents will be responsible for any such accident , loss or damage. All lambs MUST be in place by the time designated, or otherwise they will receive no consideration from awarding committees. nd they may sometimes be attached by mistake, or may be misplaced or lost. 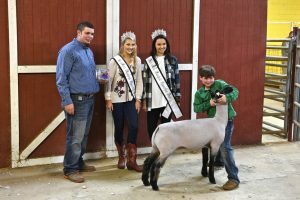 Market Lamb classes open only to 4H & FFA members (plus pre-club) which have pre-entered their lambs with their local County agent or Vocational Agriculture Teacher prior to August 1, 2018. 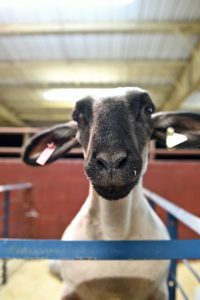 All lambs must be removed from the barn at the conclusion of the Market Lambs Show. No other animal should remain overnight. Kiwanis Market Lamb Project participants must turn in record books at check-in. Any Project Lamb without a record book will be disqualified for awards. Project Lambs will show in regular weight classes. All Lambs must be trained for showing. Lambs must be tagged with an official State Tag obtained from the County Agent or Vocational Agriculture Teacher. All lambs must have their milk teeth. The Show Committee reserves the right to mouth lambs to determine age. The Fair reserves the right to change, combine or delete classes with insufficient entries. Decisions made by the livestock committee and Fair Committee regarding rules and regulations are final. Lambs will be shown by weight. 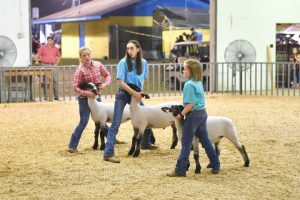 Show Committee will determine class break down. All exhibitors must show in the Showmanship Class. All entries must be shown by owner unless cleared by Show Committee. Exhibitors with a handicap or disability may have an assistant as long as the assistant is an exhibitor of this show.